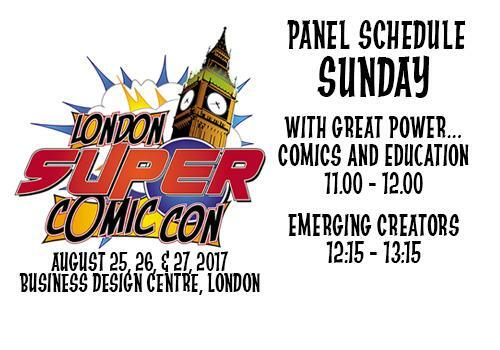 I was never a super Clash fan, but I can’t resist using this to talk about going to LONDON SUPER COMIC CON! I’m really excited because I had a BLAST the last time I was at LSCC back in 2013. I was just roaming as a guest then, but it was a really fun show. Now *I’M* going to be a guest, along with my Charmed partner in crime, Maria Laura Sanapo! If you’re not already following Maria on Twitter or Instagram, you should. She’s always posting some fabulous commission she’s working on, showcasing her incredible talent. I was SO lucky to work with Maria on Charmed! 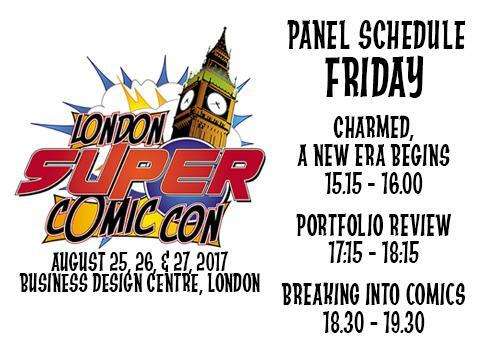 Dynamite really put together a good match with her and I. Maria and I will be on the Charmed: A New Era panel at London Super Comic Con, and we’ll be signing after the panel, so come with your Charmed books and paraphernalia! 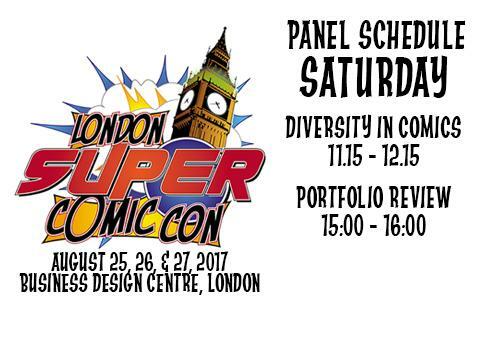 I’ll also be doing portfolio reviews and be on other panels with cool people like Dave Gibbons, Laura Braga and Dan Slott.